We are so excited to launch this exciting contest with World of Wings. If you have not done so already, please check out our articles on this amazing museum and the cool spaces it has to offer. Not only is it tons of fun, it also offers a wonderful educational experience for kids. Since we LOVE World of Wings so much, we wanted to give your family the opportunity to experience all that WOW has to offer! We have put together a fun and exciting contest that kids will LOVE! 1. Have your kids draw, color or create a butterfly. It can be done anyway they wish from a coloring page to one made from a toilet paper roll. The more creative the better! 2. Post a picture of the butterfly to the Mommy University Facebook page. When posting, please include your child’s first name and age. If you are not comfortable including your child’s name, you can use your own. 3. Once all entries have been submitted within the contest timeframe, 3 winners will be chosen! 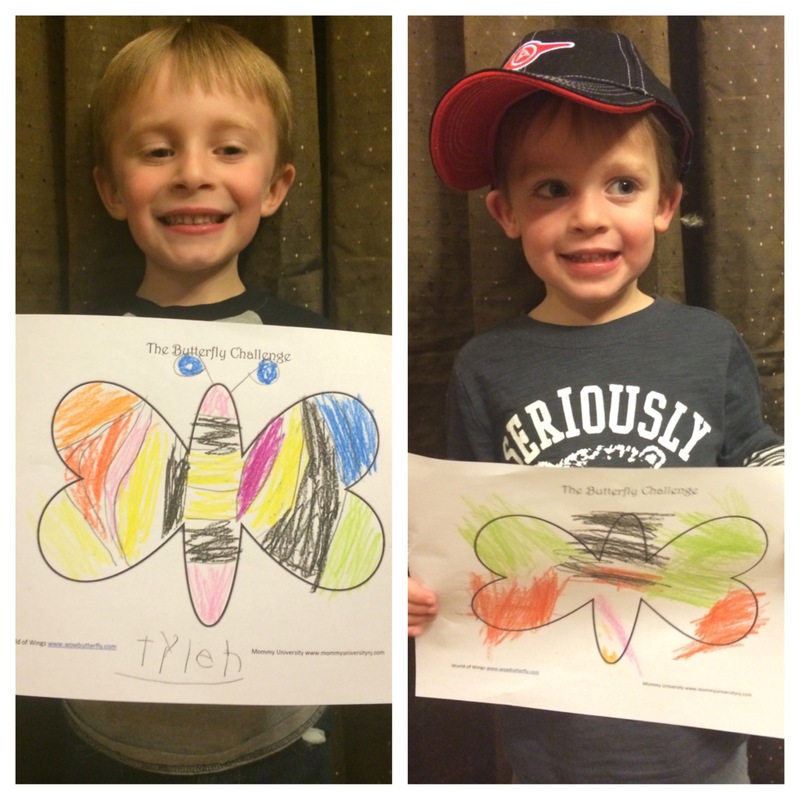 Here are the beautiful butterflies my boys made! How awesome are those prizes? Your family can enjoy hours of fun at World of Wings while learning all about butterflies! Butterfly design must be submitted to our Facebook page by Tuesday, November 25th by 11:59pm. Butterfly MUST be made by a child. Winners must respond within 3 days of being contacted or new winners will be selected. This is a great contest! Where is this place at maybe if I win I can visit you! Thank you! It is in North Jersey. You should definitely enter! You can stay with me if you win!!!! Super fun idea for a contest. I’ve never heard of World of Wings – sounds wonderful! Thank you! World of Wings is so much fun! !